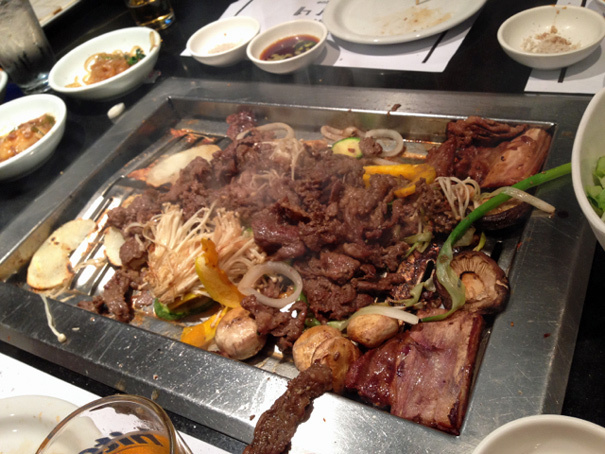 First, some Korean BBQ images because why not? Park’s really is my favorite. Now for Mr. Boba. All of the best places in L.A. are located in little shopping centers with difficult parking. 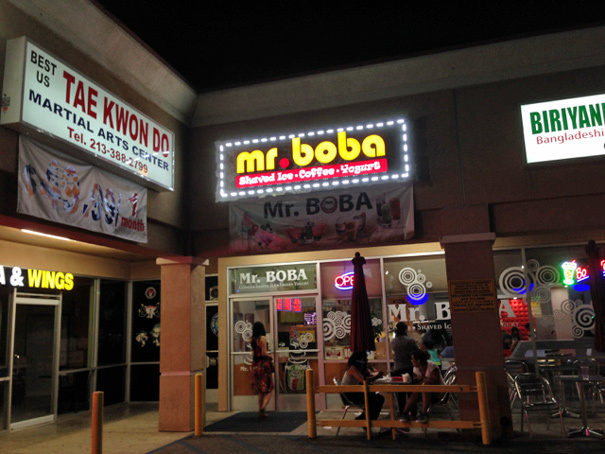 Mr. Boba (on 3rd near Vermont) is no exception. As we walked in, I was slightly suspicious. The place felt like a typical yogurt shop, the kind I used to go to with my parents in Boca Raton; we were regulars at TCBY, in the 90s, favoring a yogurt parfait with M&Ms and rainbow sprinkles. Would this be different? People, this really is the best summer dessert ever. 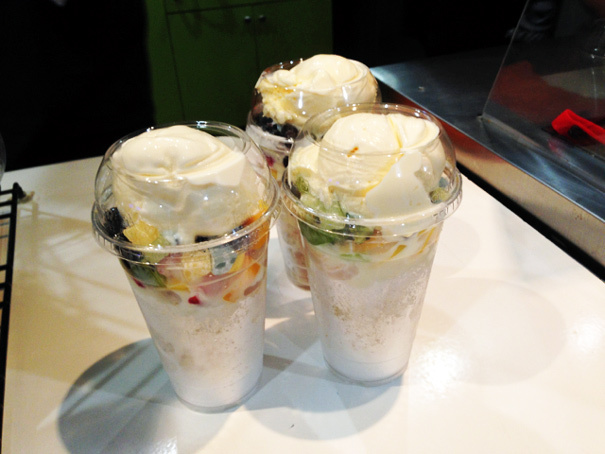 Let me walk you through it: you have a layer of shaved ice that’s sweetened with condensed milk and possibly coffee (?? 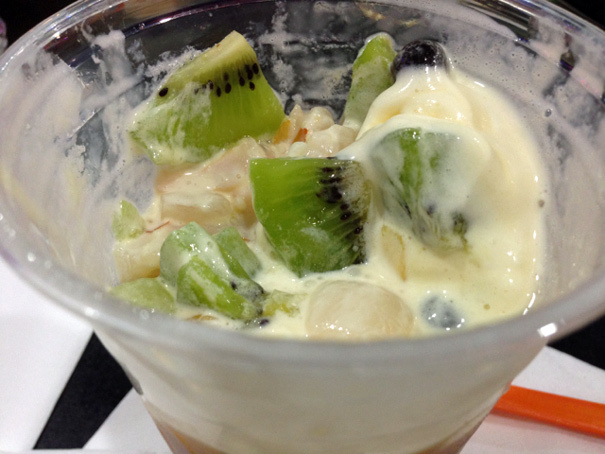 ); then a scoop of ice cream; then a bunch of fruit–but a huge assortment of fruit, everything from lychees to grapes; there were also little tapioca balls (I think that’s the Boba) then more creamy ice cream on top. 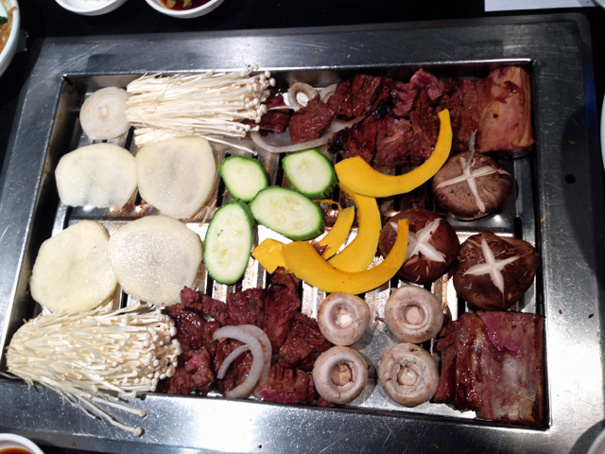 Wouldn’t you love to eat that on a hot summery date? Even a cold summery day. Or a hot winter’s day. It’s that good. 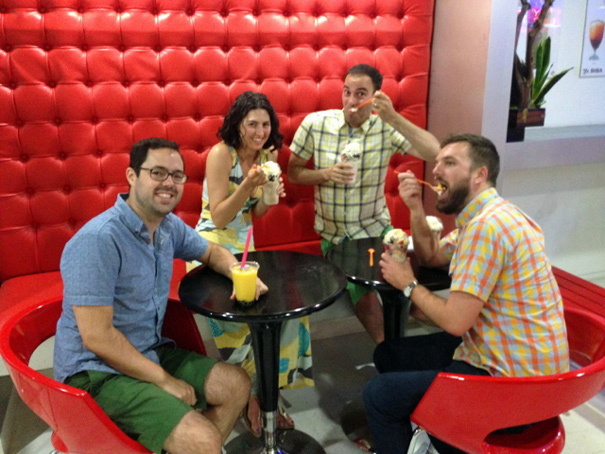 So thanks Jim and Jess for sharing your secret dessert spot with us. Now the whole world knows, but don’t worry. I’ll still hold us a table.